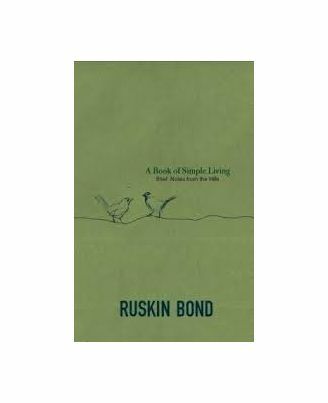 ‘This much I can tell you,’ writes Ruskin Bond in his introduction to this journal, ‘for all its hardships and complications, life is simple.’ Drawing upon a lifetime’s experience in the hills and small towns of north India, he records the many small moments that constitute a life of harmony—with the self, the natural world, and friends, family and passersby. In these pages, we watch a wild plum blossom and the moon come up between two deodar trees; we hear a redstart whistle and the rain drum on a tin roof; we recognize the ache of losing love and the consolation of old companions. 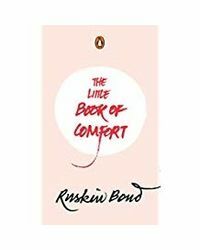 Ruskin Bond was born in Kasauli in 1934. He grew up in Jamnagar, Dehradun and Shimla, worked briefly in Jersey, London and Delhi, and moved to Mussoorie in the early 1960s to write full time. One of India’s best loved and most popular authors, Ruskin Bond has written over a hundred books of fiction, non-fiction and poetry, including the best-selling classics Room on the Roof (winner of the John Llewellyn Rhys Prize), A Flight of Pigeons, The Blue Umbrella, Time Stops at Shamli, Night Train at Deoli, Our Trees Still Grow in Dehra (winner of the Sahitya Akademi Award) and Rain in the Mountains. He was awarded the Padma Shri by the Government of India in 1999 and the Padma Bhushan in 2014. 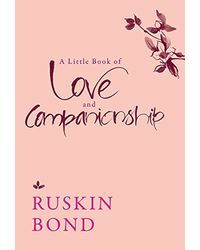 ‘This much I can tell you,’ writes Ruskin Bond in his introduction to this journal, ‘for all its hardships and complications, life is simple.’ Drawing upon a lifetime’s experience in the hills and small towns of north India, he records the many small moments that constitute a life of harmony—with the self, the natural world, and friends, family and passersby. 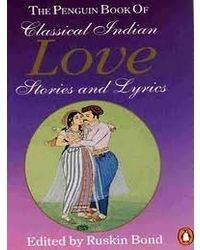 In these pages, we watch a wild plum blossom and the moon come up between two deodar trees; we hear a redstart whistle and the rain drum on a tin roof; we recognize the ache of losing love and the consolation of old companions. Ruskin Bond was born in Kasauli in 1934. He grew up in Jamnagar, Dehradun and Shimla, worked briefly in Jersey, London and Delhi, and moved to Mussoorie in the early 1960s to write full time. One of India’s best loved and most popular authors, Ruskin Bond has written over a hundred books of fiction, non-fiction and poetry, including the best-selling classics Room on the Roof (winner of the John Llewellyn Rhys Prize), A Flight of Pigeons, The Blue Umbrella, Time Stops at Shamli, Night Train at Deoli, Our Trees Still Grow in Dehra (winner of the Sahitya Akademi Award) and Rain in the Mountains. He was awarded the Padma Shri by the Government of India in 1999 and the Padma Bhushan in 2014.